Home Mobile Security Montagu Evans Chooses MobileIron Cloud To Keep Client Data Safe On Mobile Devices. MobileIron (NASDAQ:MOBL), the secure foundation for modern work, today announced that Montagu Evans has selected MobileIron unified endpoint management (UEM) cloud solution, including MobileIron Access and MobileIron Threat Defense. For nearly a century, Montagu Evans, a partnership and one of UK’s largest owner-managed surveying firms, has helped its clients shape some of UK’s largest commercial, residential and mixed-use property development projects. With increasingly sensitive client work, more employees on job sites using mobile devices, and the newly enforced GDPR, it was imperative for Montagu Evans to use a best-in-class UEM solution to securely manage all data without compromising productivity. Since Montagu Evans’ employees often need to connect through unsecured networks, such as public Wi-Fi networks, the company needed to ensure that highly sensitive customer information could not be intercepted or compromised. 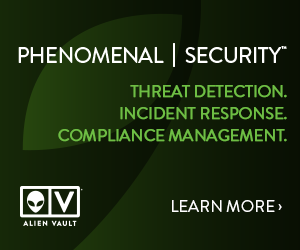 To solve this problem, Montagu Evans chose MobileIron Threat Defense to work seamlessly in the background to detect and remediate threats without the employees needing to take any action on their part. Using MobileIron Threat Defense, MontaguEvans can keep client information safe on any device and any network that the employees use, no matter where they work. “MobileIron is the perfect solution to meet the demands of our ongoing progressive IT strategy, significantly improving our cyber security posture,” said Mark Sedgwick, head of IT, Montagu Evans. Montagu Evans employees use a number of mobile applications to get their job done and MobileIron Access allows the employees to download and access all business and productivity applications on the go, knowing that it’s all done in a secure and protected environment. For nearly a century, Montagu Evans has helped its clients shape some of the UK’s largest commercial, residential and mixed-use property development projects. Our unique partnership structure allows us greater flexibility to put our most senior and experienced people on every job, meaning we can put our clients’ needs first – that is why we continue to remain a partnership and one of the UK’s largest owner-managed surveying firms.